So Miriam has recovered, and now we’re on to the next part of the story, the story of the spies. God tells Moses to send out men to scout out the land, with one representing each tribe. They went from Paran to Canaan, one man from each tribe (except Levi). We are given a list of their names, which include Hosea, son of Nun, from the tribe of Ephraim. We are told that Moses calls Hosea Joshua, who is the man that we know as his eventual successor as the leader of the people. No explanation is given for the change of name at this point, only that Joshua and Hosea are one in the same. “Moses sent them to scout the Land of Canaan, and he said to them, ‘Go up this way in the south and climb up the mountain. You shall see what land it is, and the people who inhabit it; are they strong or weak? Are there few or many (Numbers 13:17-18)? '” He asks further questions as well. They are instructed to check the quality of the land, and whether or not the people live in camps or cities. They are supposed to check the agricultural conditions as well, all important details to be aware of when the people seek to settle the new land. So the men go up into the land, to Hevron and then to the Valley of Eshkol. “They came to the Valley of Eshkol and they cut a branch with a cluster of grapes. 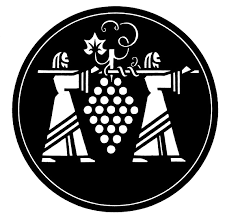 They carried it on a pole between two and some pomegranates and figs (Numbers 13:23).” This has become the symbol of the spies, two men carrying a cluster of grapes so heavy and large that they’re practically the size of human beings. Eventually, the men return from the land after forty days. They come to Moses, and Aaron, and the congregation of Israelites. “They told him and said, ‘We came to the land to which you sent us, and it is flowing with milk and honey, and this is its fruit. However, the people who inhabit the land are mighty, and the cities are extremely huge and fortified, and there we saw even the offspring of the giant (Numbers 13:27-28). '” They describe the land as being surrounded by enemies. What’s interesting to me is that none of this is necessarily untrue. The land is fertile, and is surrounded by hostile nations. The people could have easily appeared as giants, intimidating and scary to the scouts. However, by focusing on the negative, the scouts scared the people. “Caleb silenced the people to Moses, and he said, “We can surely go up and take possession of it, for we can indeed overcome it (Numbers 13:30). '” He expresses confidence, but the other men say that they won’t be able to prevail against the inhabitants. “They spread an [evil] report about the land which they had scouted, telling the children of Israel, ‘The land we passed through to explore is a land that consumes its inhabitants, and all the people we saw in it are men of stature. There we saw the giants, the sons of Anak, descended from the giants. In our eyes, we seemed like grasshoppers, and so we were in their eyes (Numbers 13:32-33).” The spies are scaring the people, and are placing doubt in their minds about entering and conquering the land. Lowering morale in a situation like this can be dangerous, which we’ll see play out in the coming chapters.